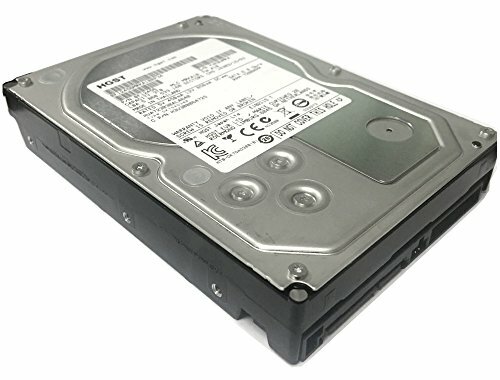 HGST UltrastarTM 7K3000 is the world's first and only 7200 RPM hard drive rated at 2.0 million hours MTBF. When the highest quality and reliability are a top requirement, customer field data proves that the Ultrastar 7K3000 delivers by reducing downtime, Engineered for the highest reliability, the Ultrastar 7K3000 is not only put through grueling design tests during development but must also pass stringent ongoing reliability testing during manufacturing. Operating at 7200 RPM, the Hitachi Ultrastar 7K3000 offers better overall performance than slower-RPM, capacity-oriented drives at impressively low power-consumption rates. When compared to the previous generation Ultrastar 7K2000, the 7K2000 offers up to a 155% improvement in sustained data transfer rate, and a 120% improvement in watts-per-GB. To ensure the utmost in data safety and security, the Ultrastar 7K2000 is also available with a bulk data encryption (BDE) option. When enabled, the Hitachi BDE implementation encrypts all data on the drive using a private security key as it is written to the disk, and then decrypts it with the key as it is retrieved, giving users an extreme level of data protection. Ultrastar 7K2000 is specifically built and tested for the enterprise. Hitachi-patented Rotational Vibration Safeguard (RVS) sensor technology, which optimizes drive reliability in multi-drive RAID arrays and rack-mounted systems. 100% Tested & Passed Hitachi Diagnostic Software, ZERO Bad Sectors! RE-CERTIFIED by State-of-the-Art software - Full "Sector-by-Sector" test to ensure best HDD quality!